Virat Kohli’s Horoscope - The Warrior. So, here we go. One thing is sure that there will be no comments about his personal/family life. 1. As we can see, he was born a Sagittarius (9) Ascendant. Normally, Sagittarius is a sign which is associated with people of Higher Learning and Wisdom. These people go in the field of Academics and become Teachers and Professors. Alternatively, they are seen in Society as Preachers. Now, Virat Kohli & Preacher? Well, what went wrong here? The biggest factor, Saturn in Ascendant. Saturn sitting in Sagittarius blocked the Higher Education aspect of his life and gave him a serious outlook towards life. So, one aspect of life is blocked, i.e. Higher Education. So, where is his life path going then? Sagittarius lord Jupiter is in 6th house of Obstacles and Competitions. So, here you go. His life path is going into the field of facing obstacles and competitions. Does it mean that Higher Learning and Wisdom won’t come to him? As always, Saturn becomes a positive planet in person’s 30s. So as he grows older, we will see his wise side. 2. Now, the second step is to look at 9th house of chart as Sagittarius is the 9th house. We are getting too many indications here. 9th house is house of Far Distant Places. It has Leo sign there. Leo is sign of Creativity. Leo is 5th sign, so it represents the energy of 5th house of Sports and Creativity. Moreover, 9th house is Bhavat Bhavam for 5th house (5th from 5th house). So, it shows that Sports, Creativity and Far Distant Places from his birth places will have an important part in his life. Now, the second step of Ascendant analysis. Ascendant Nakshatra is Mula. Its lord Ketu is in 9th house too. It shows that dealing with matters of Sports, Creativity and Far Distant Places will be his life pattern. a. Sun – One of the biggest events of his life around which his life revolves is his Father’s passing away. Sun represents Father and it also rules the 9th house of Teachings of Father through Leo (5). Now, 1st thing is that Sun is in Libra (7) in 11th house, i.e. Debilitated Sun. Sun is in Libra in itself won’t show that person won’t get Father’s support, just like Sun in Aries doesn’t mean that person is highly morale and idealistic. We have seen that in Rev Jim Jones Chart - http://astrosaxena.com/jonestown. He was born with exalted Sun but turned out to be one of the biggest criminal as Aries lord Mars was debilitated. Likewise, Sun in Libra doesn’t mean that Father will be absent but if Libra’s lord Venus is also debilitated as Virat has or badly placed then it certainly shows some issues with Father. As I said, Sun rules 9th house of teaching of father and sits debilitated in Libra in 11th house, it means he had loss of teachings from his father. Also, Ketu in 9th house separates him from teachings of father. Now, a question should arise here that if Sun is debilitated which resulted in loss of father then what about his Ego, Confidence and Pride, which are also represented by Sun? How these things remained intact? Why debilitated Sun didn’t give him lack of confidence? Why Ketu only separated from Father’s teachings in 9th house? Why it didn’t separate him from Creativity and Sports which are represented by Leo and 9th house being Bhavat Bhavam of 5th house? It is because of the concept of Jeeva Karaka and Ajeeva Karaka. Every negatively placed planet impacts living things related to that house but not non living things. Like Saturn in 5th house may give hard time with Lovers but it will give focus towards Education. b.	Mercury – Now, Sun is with Mercury. Mercury represents Skills, Hobbies, and Interests etc. It rules 7th house and 10th house of his chart. Both are Career related houses. 10th house is main house of Career and 7th house is again Bhavat Bhavam of 10th house. Also, for a Celeb 7th house is very important as it is house of Other People or Masses. Now, Mercury is in 11th house of Higher Goals and Purposes, Common Benefits for all etc. Mercury is in Libra sign. So, Libra may be a debilitated placement for Sun but for Mercury it is friendly sign of Venus. Here, Sun gets little support from Mercury. Also, Mercury and Venus share each other’s signs, so it is causing a Parivartan Yoga. So, it is a very good placement of Mercury. It shows that he used his skills, hobbies and interests through his career for the higher goal and common benefit of Entertaining the Masses and Other People. c.	Moon – As always, the most important planet for me as it rules over mind. Moon rules over 8th house of chart through its sign Cancer (4) and sits in 10th house of Career in Virgo (6). 8th house is house of Research & Digging deep into Details, Virgo is sign of Analysis & Perfection and 10th house is of Career. So, it shows that he puts lots of efforts in research and analysis regarding his game and then brings the results of that Analysis in his Career to keep on perfecting himself. His mind is inclined towards researching more and more about his game and then keeps on perfecting his game. d.	Venus – He has Venus with Moon in Virgo (6) sign in 10th house of Career. Venus rules 6th house of obstacles and competitions through its sign Taurus (2) and 11th house of Higher Goals and Purposes, Common Benefits for all etc through its sign Libra (7). It shows that facing of obstacles, challenges and competitions is becoming his Career and he serves his higher goals and common benefits for all through his Career. Although Venus is debilitated in Virgo but as I said it receives a Parivartan Yoga from Mercury in Libra, hence strengthens it. Also, 10th house gets aspect from Jupiter and Mars, provides great strengths to his career. At the same time, Saturn aspect on 10th house of Father limits his interactions with his father. But having his Venus (Love) and Moon (Mind) in 10th house of Father shows that his love and mind was all on his father. He must have been very close to his Dad. e.	Mars – This is simple. Mars rules 5th house of Sports and Creativity through its sign Aries (1) & 12th house of Foreign Lands through its sign Scorpio (8) and sits in 4th house of Home Land. Sports, Creativity, Home Land and Foreign Land, lol. Mars itself represents an Athlete. So, all is well here. f.	Jupiter – As we have already seen that Jupiter is your Ascendant Lord and sits in 6th house of Obstacles and Competitions in the sign of Taurus (2). Jupiter also rules his 4th house of Home Land and Peace of Mind through its sign Pisces (12). So, it shows that his peace of mind comes when he defeats his competitors and enemies in ground and become victorious. Wherever Taurus is in chart, that’s where you will get your wealth. His Taurus in 6th house shows his wealth from Obstacles and Competitions. g.	Saturn – Saturn rules 2nd house of Wealth through its sign Capricorn and 3rd house of Self Efforts, Courage, Will Power, Hobbies and Skills through its sign Aquarius. Saturn is in Ascendant. So, it shows that Wealth will come to him only through his own efforts. It means this person can’t work under others. Saturn sitting in Ascendant shows that his efforts, will power and skills resulted in shaping his personality. His recognition in world came from his own efforts. h.	Rahu – And this is most important as he is going through Rahu MD which will continue for next 12 years at least, so he will play out his career under Rahu’s impact. 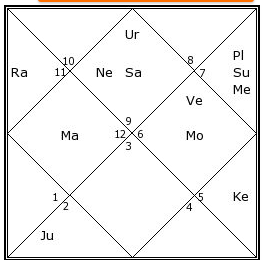 Virat has Rahu in 3rd house of Courage, Will Power, Skills and Hobbies etc. Good to remember here is that Sachin Tendulkar (http://astrosaxena.com/stendulkar) also played his best cricket under Rahu MD and he has Rahu in 5th house of Creativity and Sports (5th house is Bhavat Bhavam of 3rd house). So, situation is very similar here. As Rahu explodes the results of the house it sits in, we can expect him to be extremely courageous in his approach in coming years. Rahu will make him extremely unique and creative with his skills. Rahu is in own sign Aquarius, so it is well placed sign-wise too. Rahu is in 3rd house which gives best results after the age of 30, so we can expect him to bring more and more laurels for the country as he grows older. Rahu in Aquarius will turn itself as Saturn as Rahu changes itself as per the sign lord. So, he will continue to show extreme work ethics and serious outlook towards Life and Career. All in all, great days ahead for Indian Cricket with Virat Kohli. 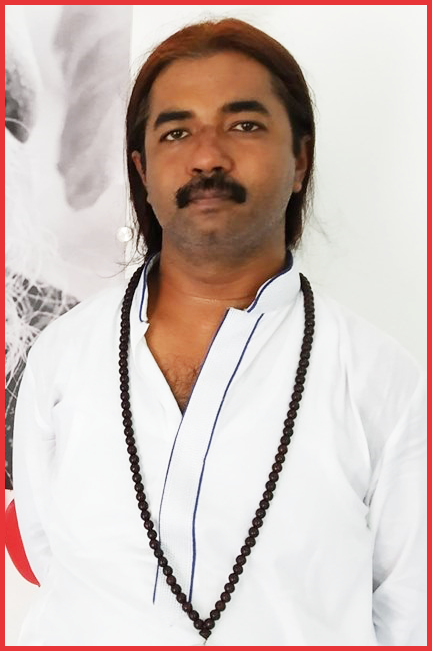 i.	Ketu – We already discussed it with Ascendant Nakshatra Lord.